Hi there! Remember me?! Yeah, I know, it has be a hot minute since this blog has gotten any love. It’s fall time in the US and everyone is posting beautiful photos of the leaves turning colors and the cooler weather has begun. Pumpkin food and drinks are in full swing. Fall is my favorite time of year in the States, but here in Bangkok it’s rainy season. The weather is hot and humid (as usual) with scattered thunderstorms mixed in throughout with week. And, unfortunately carving a pumpkin isn’t in the cards for Halloween when one lives in Thailand. I have some serious fall envy going on!! Time is quickly passing and before we know it cool season will debut in Bangkok. And by cool, I mean 75 degrees, if we are lucky. You might be wondering what’s been going on since I last blogged … let’s do a little recap of life’s highlights as of late, shall we?! The majority of the month of August was spent in the States visiting family and friends. The biggest event of the month was my sister’s wedding!! 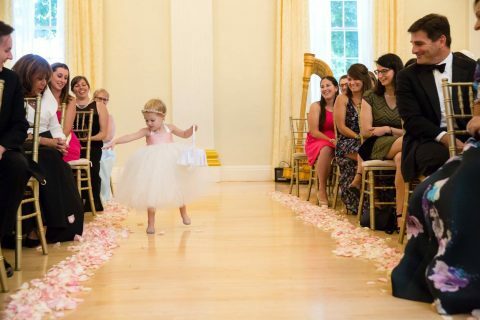 Jellybean totally rocked being a flower girl. My favorite part was when she screamed to my husband, who was standing with the other groomsman, “Daddy I have to be quiet”! It was kind of hilarious as the statement was made at the loudest possible volume she could muster. Luckily everyone took her disruption in stride and it evoked a good belly laugh from the wedding guests. Photo by Nikki Cole PhotographySeptember was a very low key month. It was life as usual here in Bangkok. I’m very thankful we had a month of ‘normal’ day to day life. Things have rapidly picked and pace since then and there are aren’t any signs of it slowing down in the near future. 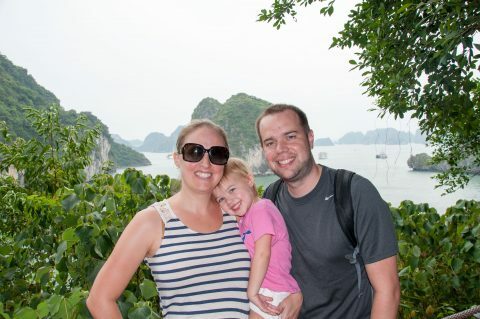 We took a whirlwind family trip to Vietnam in October. Hitting 4 cities, including Ho Chi Mihn City, Hoi An, Hanoi and Halong Bay in just 9 days. The trip was quite an accomplishment, especially since Jellybean got a cold the day before we left. More details on the food, hotels, and all the sights seen to come. Here we are on our second to last day in Halong Bay. GAHHH, it’s just gorgeous! 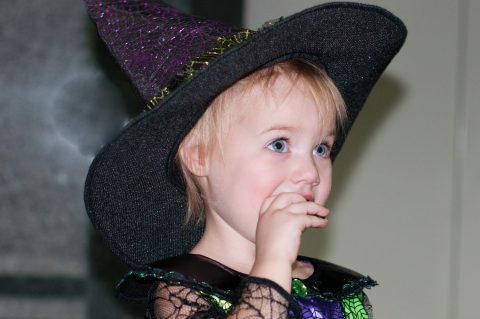 Halloween was very low key this year, but Jellybean did get the opportunity to rock her witch costume and do a little trick-or-treating. The most hilarious part was Jellybean would eagerly grab candy from the basket and then follow it up with an enthusiastic “trick-or-treat”! Despite various attempts we couldn’t convince her to say trick-or-treat before collecting candy.